One of the most important keys to produce great work is your ability to stay focused on a task and your willpower to get things done. And this is what makes personal productivity and time management important. We all want to be able to focus for long hours so that we can get more things done. And at the same time, we want to have the motivation to do all the things that we set out to do. And this is where the Pomodoro Technique comes into the picture. If you have been doing research or reading about time management or how to increase your productivity, I believe that you will have heard about the Pomodoro Technique. Some people love the Pomodoro Technique and find that it is one of the best productivity hacks that allow them to work with higher performance. On the other hand, some people find it very distracting and they don’t prefer this technique. So is the Pomodoro Technique right for you? Let’s find out. But first, let us talk a little about this method. According to Wikipedia, the Pomodoro Technique was discovered by Francesco Cirillo in the late 1980s. The technique is simple to understand and to apply. It uses a timer to break down your work into intervals, originally 25 minutes in length, and then separate each session with a 5 minutes short break. 1. 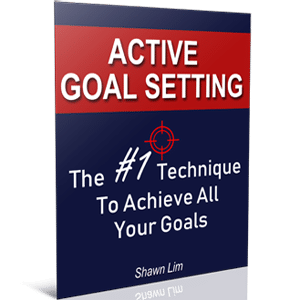 First, you identify the action or task you want to get done. 2. You focus on working on the task for 25 minutes. 3. After 25 minutes, you take a short 5 minutes break. 4. You repeat the process and continue for 4 sessions, or pomodoros as they call it. 5. After 4 sessions, you take a longer break for 20 or 30 minutes. You can apply the Pomodoro Technique to whatever task you want to get done. The key is to schedule interval short breaks into your work so that you can have time to recharge your energy and refresh for better focus. Most people find it hard to focus on their work because they don’t take breaks. No matter how much willpower you have, it is impossible to be able to fully focus for 8 hours straight. This is why school children have breaks at schools and we use weekends as our breaks to recharge before we start to work again on Monday. In short, our willpower and our ability to focus work just like the battery level on our phone. When we are fully charged, we are able to pay better attention and put in our full concentration to work. But as we make decisions and take actions, we used up our willpower. This is why we need to take breaks to recharge our energy and willpower. If you go through long hours without taking a stop and when your willpower is empty, you will find that you can’t focus anymore. Your mind will distract you and you will want to do something else. You feel tired and exhausted. And the Pomodoro Technique is interesting because the fundamental principle is based on taking short breaks to maintain your focus and willpower throughout the day. Are there disadvantages to this technique? Well, in my opinion, yes. While the Pomodoro Technique can be powerful and effective, but I dislike the idea of setting up a timer as I work. I find it stressful to do so. More importantly, what if you are in the flow and your creativity peaks, and suddenly the timer tells you to stop and take a break? You won’t be able to come back with that peak state and still get your ideas flowing after you take a break. When you are highly motivated and your ideas are flowing, you do not want to get distracted or stopped. You want to continue to work on your work. However, the Pomodoro Technique prevents this. It forces you to stop. Even if you don’t stop, the timer might distract you as you focus on the task. I find the Pomodoro Technique works for some occasion and meanwhile, it may not be ideal when I’m on fire and I just want to get my work done. Luckily, we can solve some of the cons of the technique by customizing our own Pomodoro. 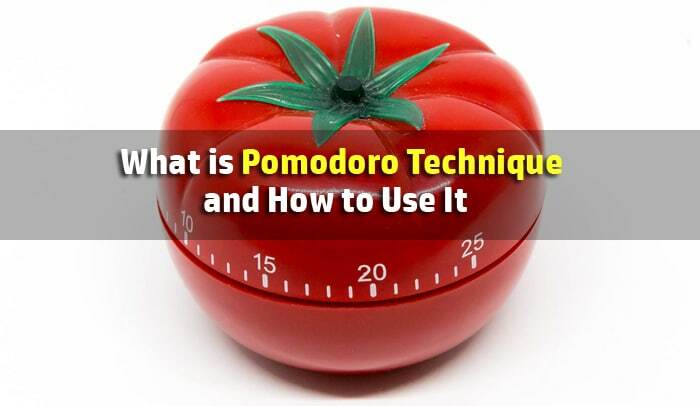 In fact, the Pomodoro Technique is similar to the 50-10-50 Technique. This technique states that we should work for 50 minutes and take a 10 minutes break and then continue our work for another 50 minutes. Yes, you can customize the Pomodoro Technique to better fit your task. For example, when I’m writing articles like this one, I don’t stop at 25 minutes. I choose to spend a longer time, say about 50 minutes. And sometimes I don’t fix my break time according to the time allocation as the technique suggested. Instead, I take the short break when I reached a certain point in my article. For instance, if my article has 10 points, I may take the break somewhere in the middle, say after I finished point #5. So I don’t follow the Pomodoro rules strictly. You can do the same. Find your own sweet spot and customize the Pomodoro Technique to suit your tasks. Remember, you use this technique to boost your productivity and your ability to focus, not to go against it. Thus, if the technique is not working for you, alter it. Change the technique a little to fit in according to your own work pattern. You may or may not agree with the use of the Pomodoro Technique, but one thing that I know for sure is that taking short breaks throughout the day is important. Success is not a sprint, but a marathon. And in order to go further, you need to incorporate pitstops in your journey. If you have never tried the Pomodoro Technique before, try it today. See if it works for you. Of course, you can always customize this technique with a different time frame and for certain tasks only. Let me know what you think then. Cheers. Wow dear I can c dt pomodoro technique z really powerful!, let me know when u produce another article. Thanks man!